The van Zutphen family moved to Inverness County in the early 1950’s and began farming. In 1964 brothers John and Ted van Zutphen purchased a TD9 International dozer for $9,236.89 and started digging! More than 45 years later the spirit and energy of our company has expanded to over 100 full time employees. The business is still operated by John and Ted, along with several of their children. The brothers both agree that the secret to their success has been to work hard, be honest, and to treat people with dignity and respect. 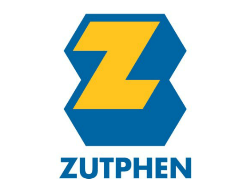 Founded in 1964, Zutphen Contractors specializes in construction services throughout Nova Scotia. Their group of companies have the ability to self-perform a majority of the projects they undertake. They employ up to 200 union tradespeople each year.